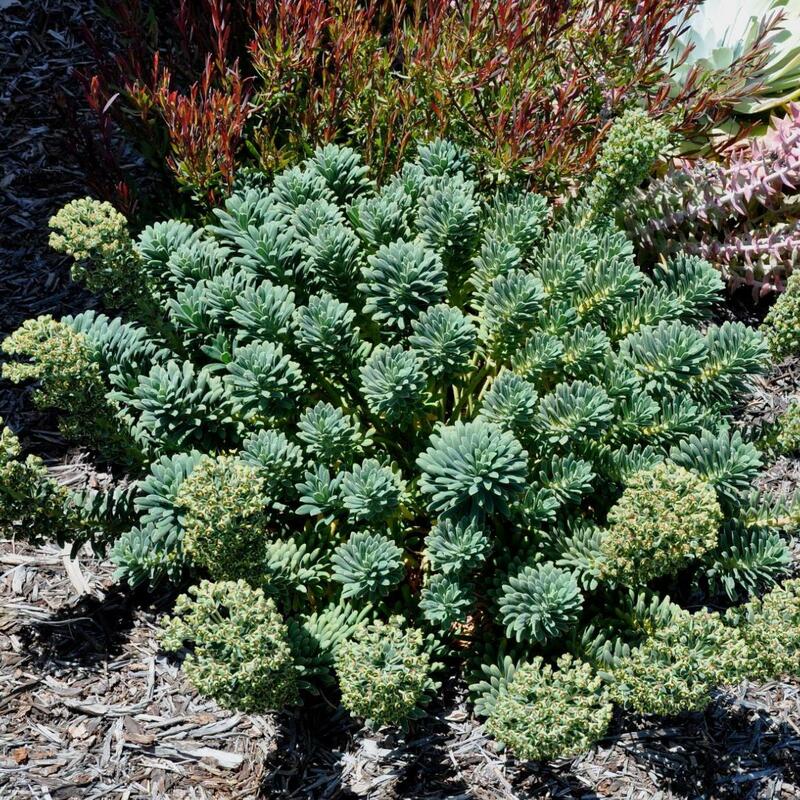 Euphorbia ‘Portuguese Velvet’ is one of the best of the Mediterranean type shrubby spurges. It falls as a variety into the species E. characias in which there are many fine named forms, but to my mind this must be one of the best behaved. 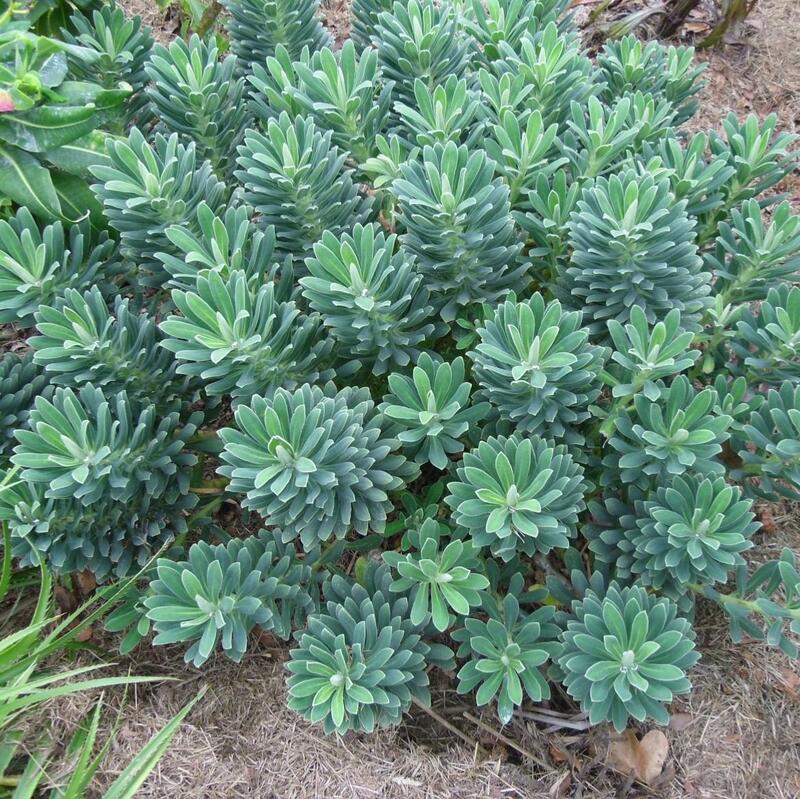 It does not have the bright acid yellow flowers of the subspecies ‘wulfenii’, but instead has a much better-behaved habit, being shorter and bushier. The foliage is a pleasing bluey-grey, the whole plant not exceeding 50cm in height but forming in time quite a wide dome of foliage. The flowers are quite typical of E. characias, but like the foliage are quite felted and soft to the touch. We have grown this plant for a very long time, and it is one of the best. 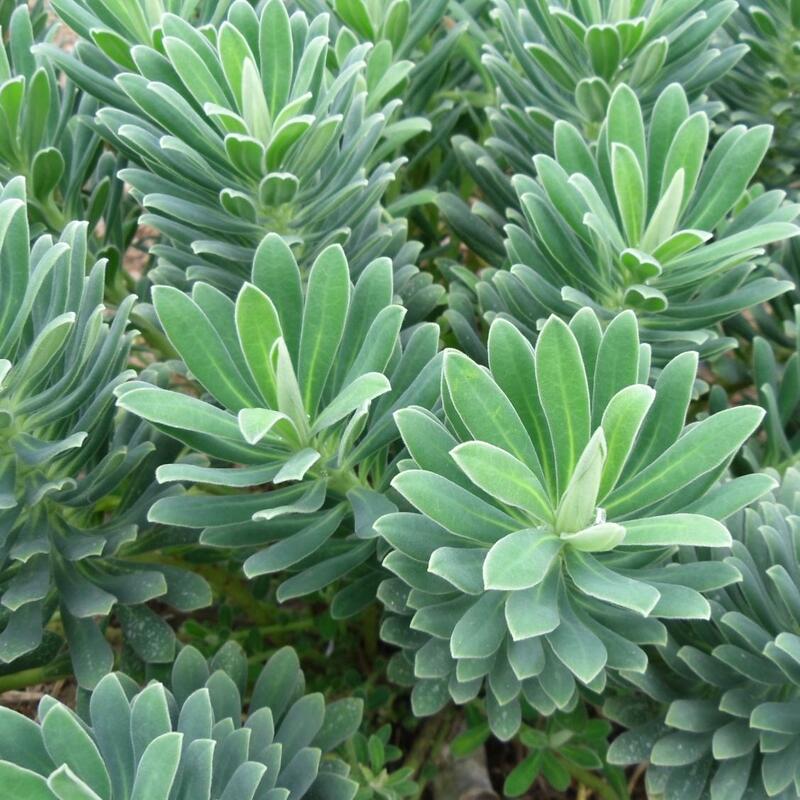 Particularly good in Mediterranean style gardens that are hot and dry with sharp drainage. It is of course very drought tolerant. The plant forms an architectural dome of foliage – the flowers are subtle but take nothing away from the beauty of this little treasure. To my mind it is a species. We grow it from seed and have never seen it deviate more than very slightly from typical. Its velvety foliage is not found in any other form of E.characias, and its habit, at only 50cm tall is half that of any other form.